Eight months after we reached EUR 1 billion in total loans funded on Mintos, we have reached the next checkpoint – EUR 2 billion! EUR 2 billion invested through our marketplace embodies the many efforts that we have been putting our work into and will continue to do so. This is the result of our proactive attitude toward investors’ needs, our drive to continually build a diverse portfolio of our marketplace while keeping a great average interest rate, and our internal quest to expand our team with great people in order to bring value to all of our stakeholders. When asked about how Mintos was able to achieve this milestone, the CEO and Co-Founder Martins Sulte said that it wouldn’t have been possible without the very functional synergy of Mintos investors and the Mintos team. 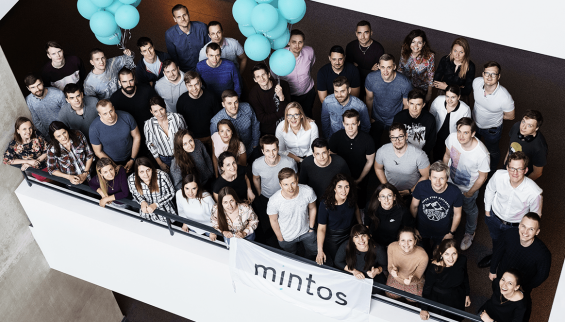 “We are proud of reaching our next significant milestone – EUR 2 billion of loans funded and we are very thankful that investors from all over the world recognise Mintos as the favourite marketplace for investments in loans,” says Sulte. The Mintos investor base is continually growing, with more than 2 000 new investors joining the marketplace every week. “Our arrival at the EUR 2 billion destination demonstrates that Mintos meets the global need for investment opportunities and the easy access to capital very successfully while connecting international investors with lending companies who issue loans to borrowers from all over the world,” added Sulte. With clearly set goals of growth and expansion, Mintos is working on bringing even more value to investors with the upcoming Mintos International Bank Account Numbers (IBAN) and with the launch of the Mintos card. The Mintos mobile app is in development, and the company is close to launching a new product that will make it significantly easier to invest in loans and earn great returns for global investors. Providing financial services with the help of technology for more than 125 000 investors from all over the world, Mintos believes that it is time that startups step up and start doing more for the environment. Therefore, Mintos will launch the “Mintos Impact Fund”. Because Mintos is a market leader, it has the potential to inspire and influence change. This opportunity will be seized through the company’s first crowdfunding project, and the first initiative of the Mintos Impact Fund, “TheFuture%”. The Mintos project “TheFuture%”, together with the Pasaules Dabas Fonds (associated partner of WWF) and WWF Deutschland, will crowdfund financial support for the preservation of the endangered Baltic Sea and its coasts framing the sea in Germany, Poland, Denmark, Estonia, Latvia, Finland, Lithuania, Russia, and Sweden. The marine ecosystem of the Baltic Sea is among the most threatened on Earth. Martins Sulte, the CEO of Mintos, believes this is the perfect opportunity for the company’s strong investor base and Mintos, to have a positive impact on not only the environment but the world, together. The goal of the Mintos Impact Fund’s first project is to raise EUR 100 000 for Baltic Sea preservation by the time the company marks the milestone of the next billion euros funded in loans. With investors funding almost EUR 200 million of loans each month, Mintos expects to reach the next billion milestone – EUR 3 billion – already by September 2019. The funds will be crowdfunded together with more than 125 000 Mintos investors with Mintos participating with its share to reach the EUR 100 000 goal. The partners of the project will be announced soon, and the project will be officially launched in the beginning of May 2019.